30 breweries from Nagano prefecture will get together in Yotsuya. Nagano is the second most populated sake brewery prefecture in Japan. It is home to the Alps of Japan and blessed with oasis after oasis of ideal water for sake brewing. 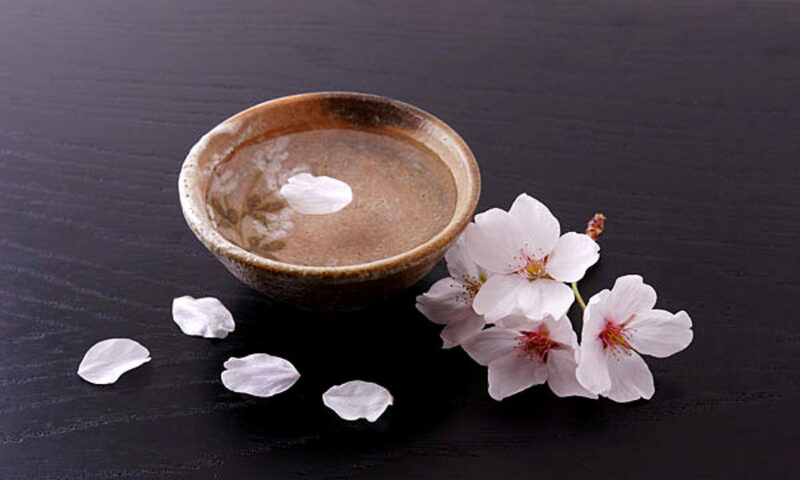 Even if you are just starting out with sake, you might already have stumbled across regional sake from the Shinshu region of Nagano. All you can drink for 5 hours only 6,000 yen. 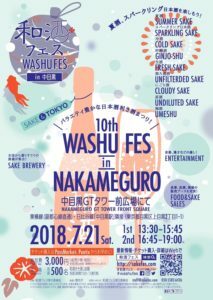 “The 10th Washu Fes in Nakameguro” will be held on July 21 (Sat). The theme is “Enjoy Summer Sake, Sparkling Sake!” Come join in Yukata. Let’s make great summer memories with sake. 41 breweries and 100 kinds of alcohol is coming from across Japan. Food is cash bar style. This youtube is the highlight of the 9th Washu fes in Nakameguro, held on March 24th and 25th.